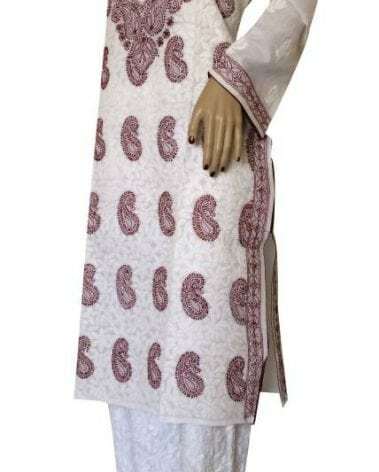 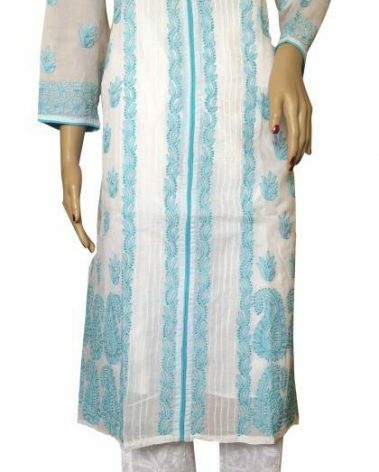 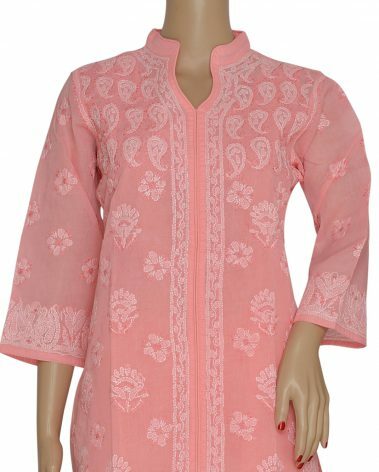 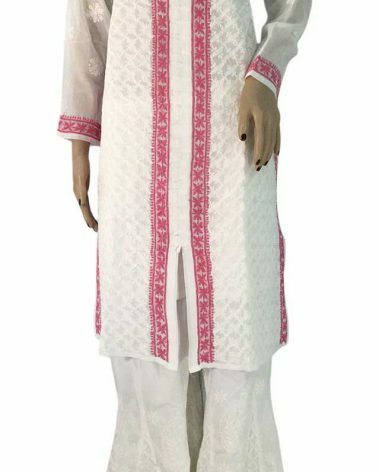 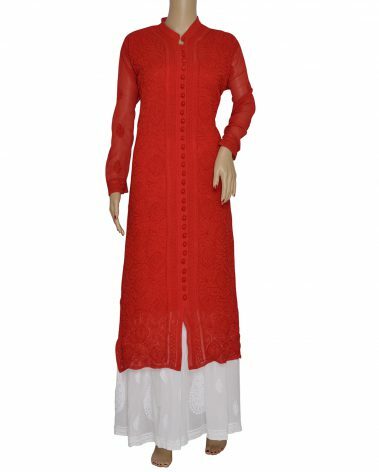 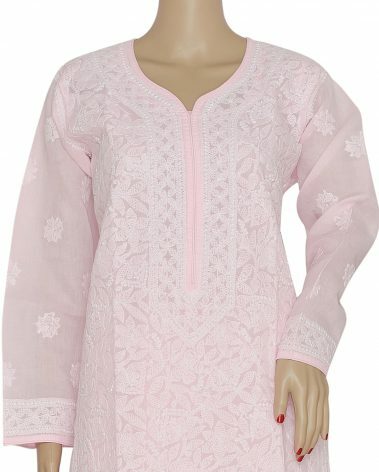 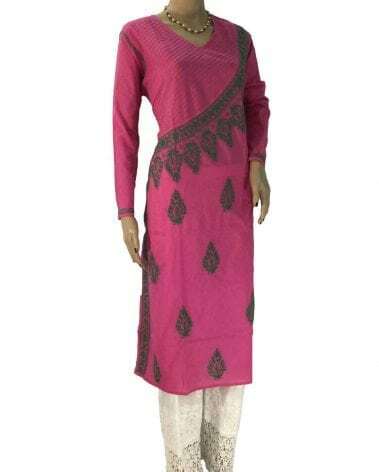 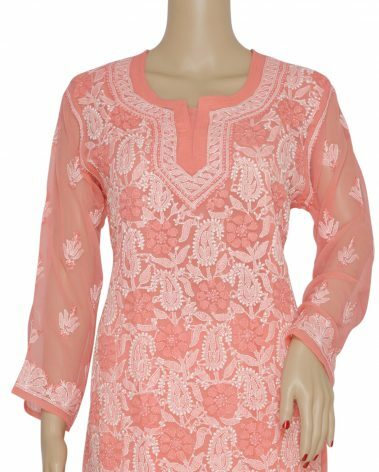 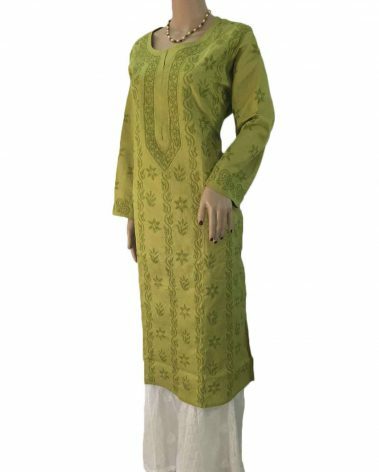 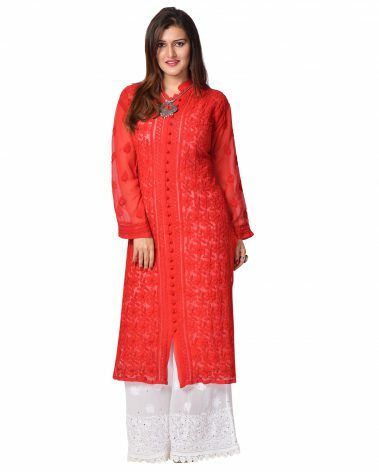 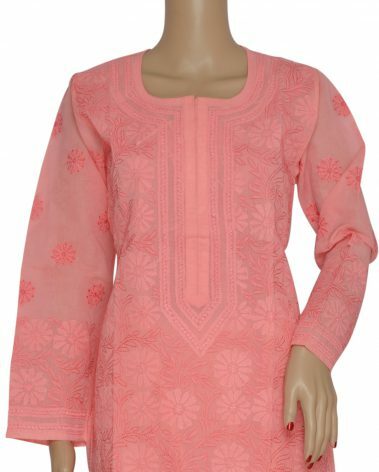 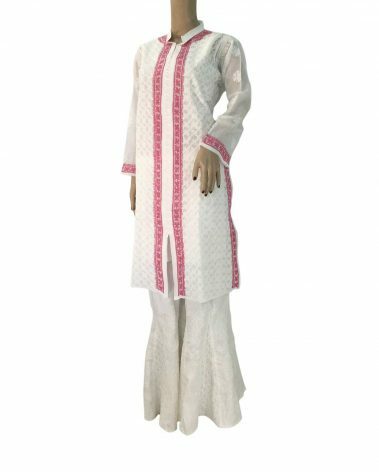 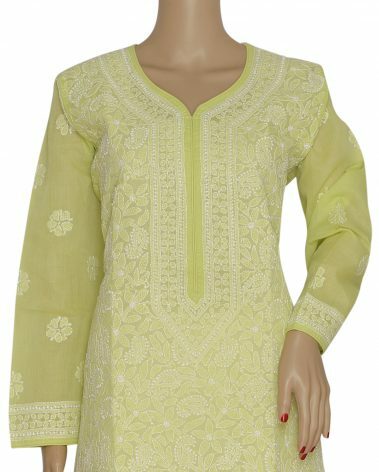 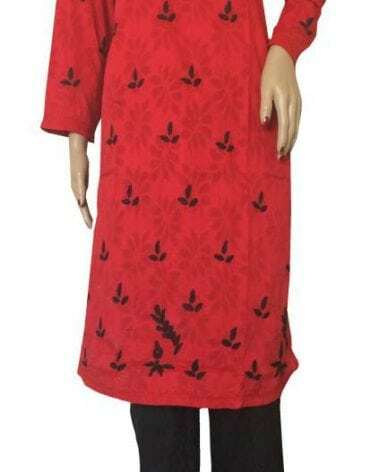 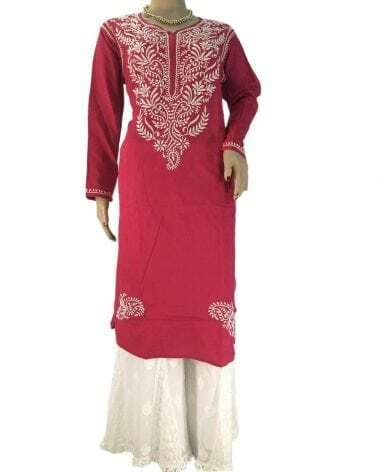 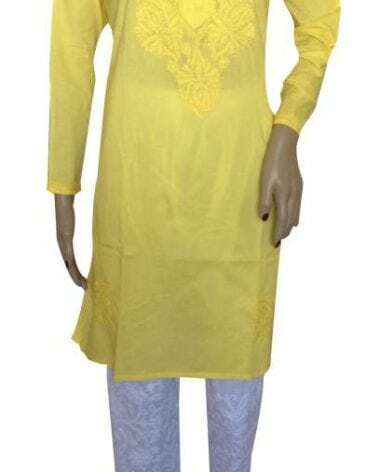 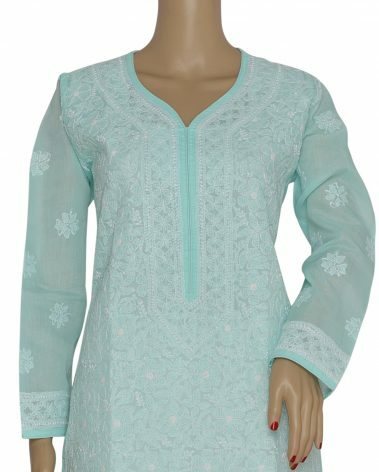 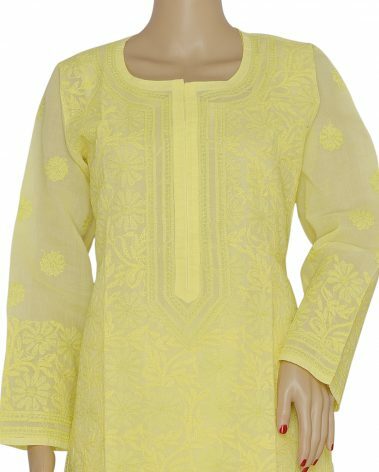 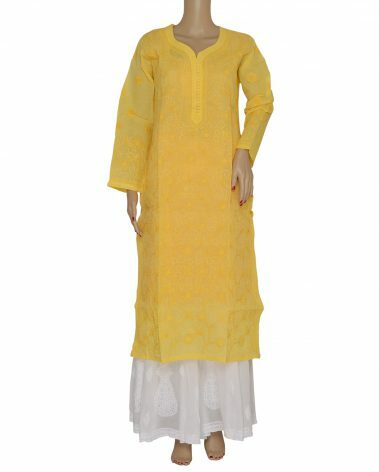 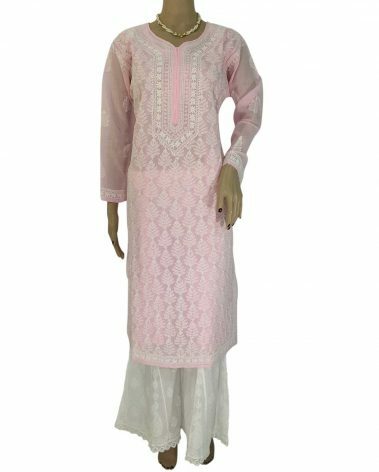 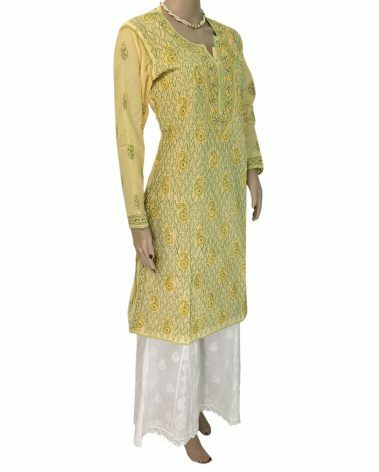 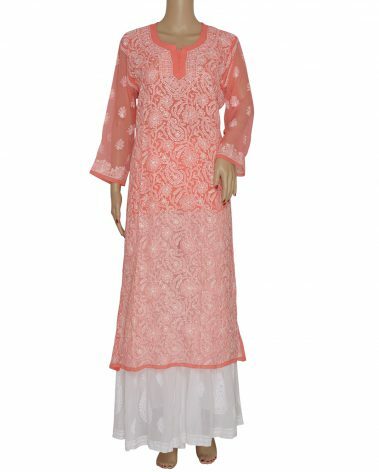 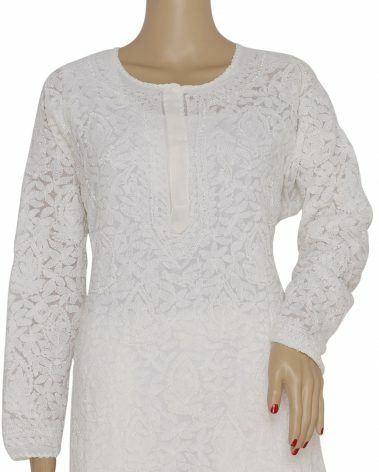 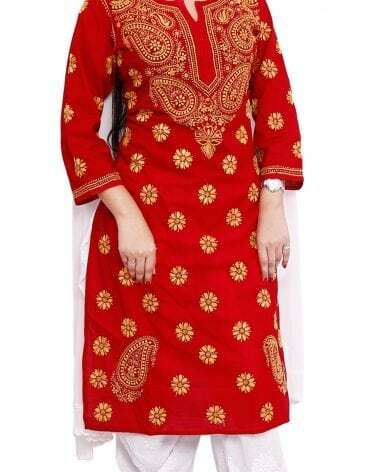 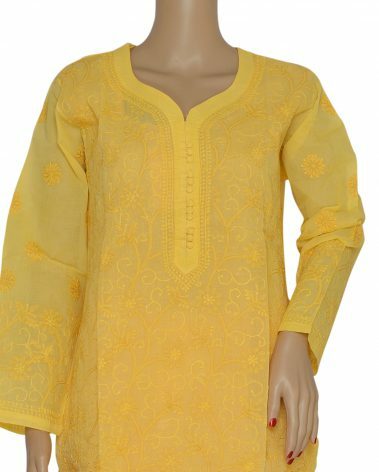 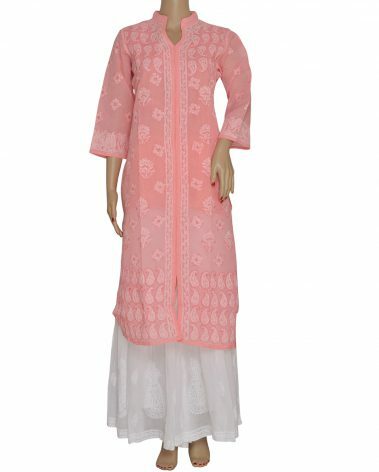 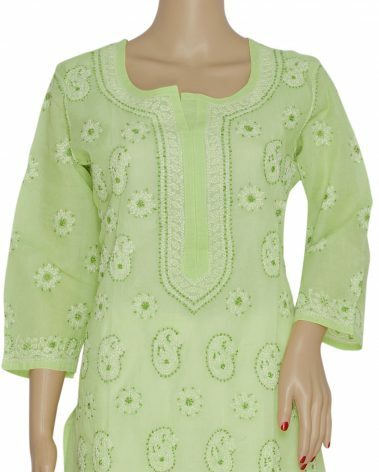 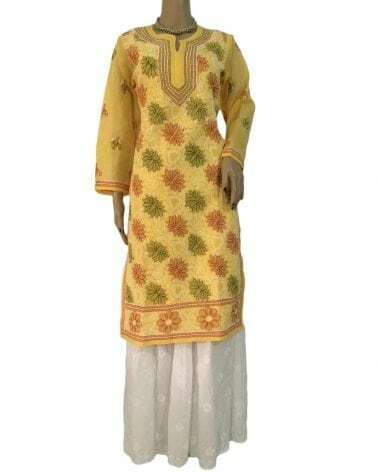 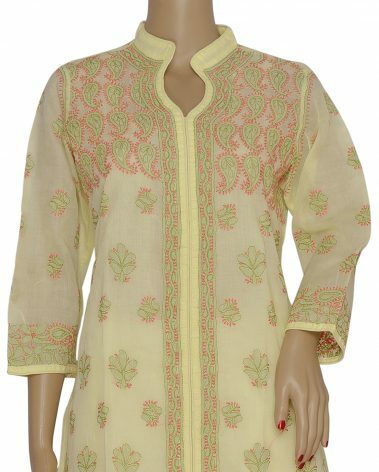 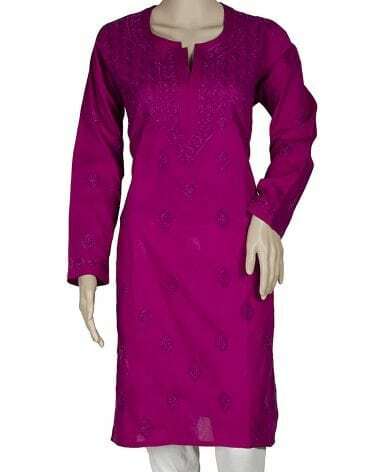 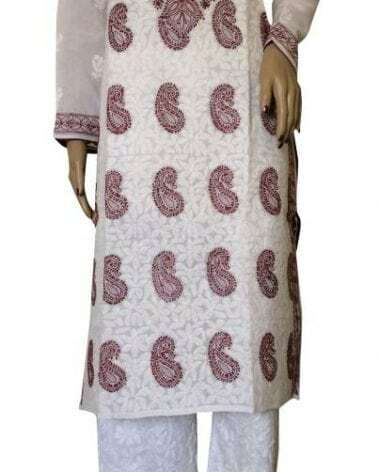 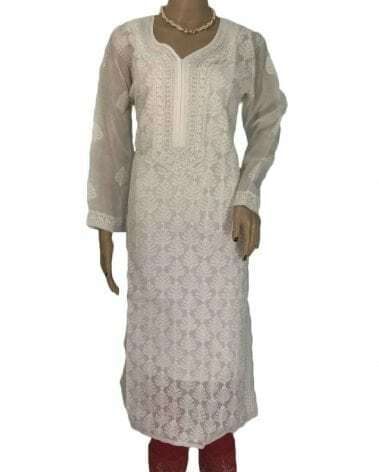 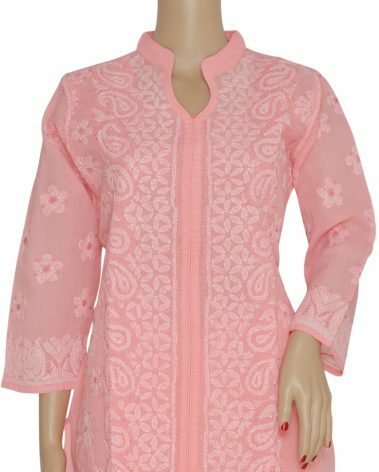 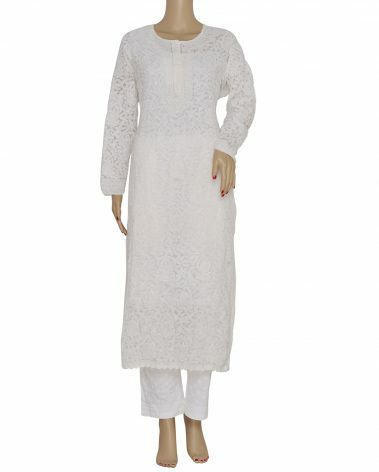 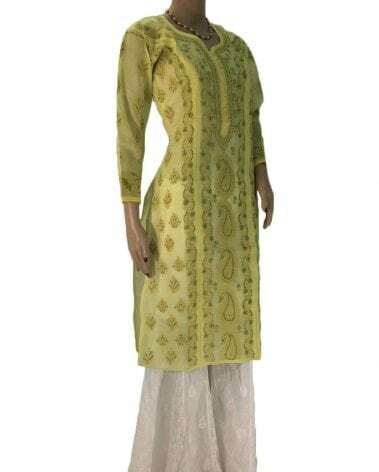 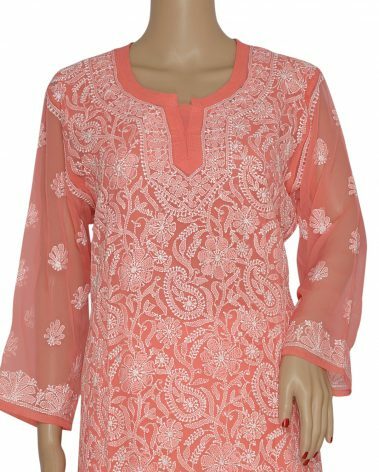 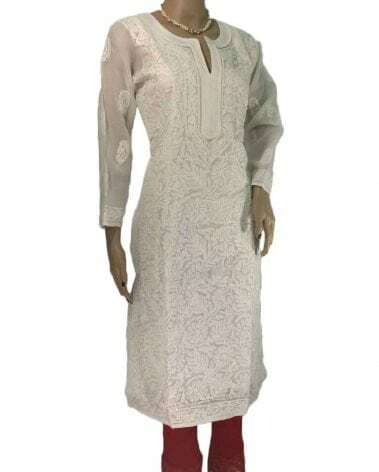 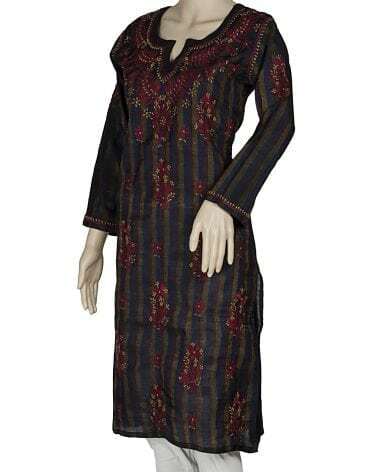 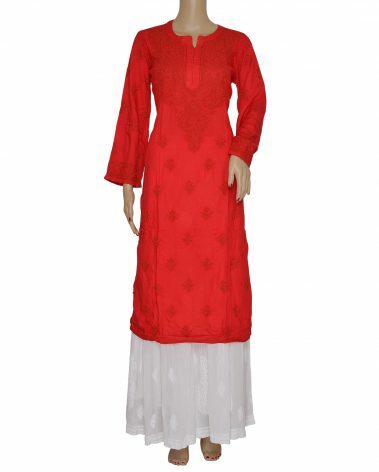 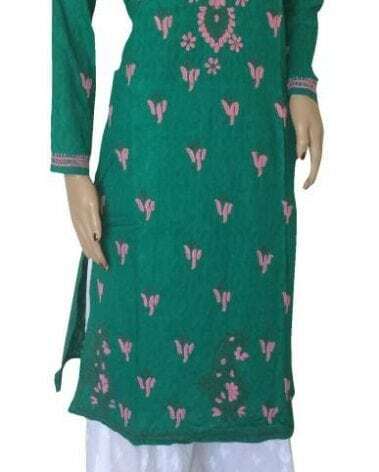 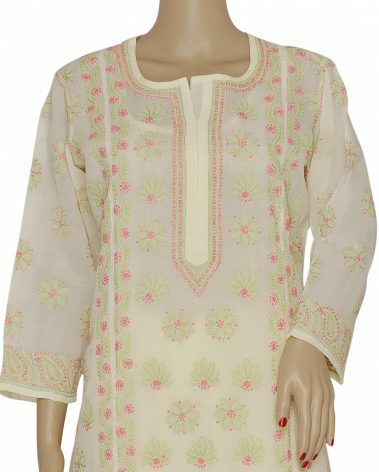 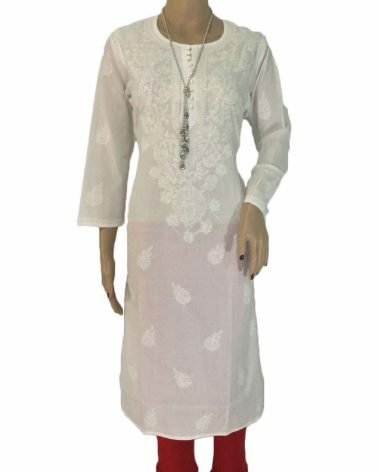 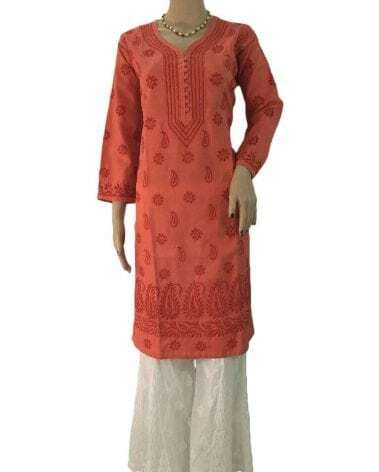 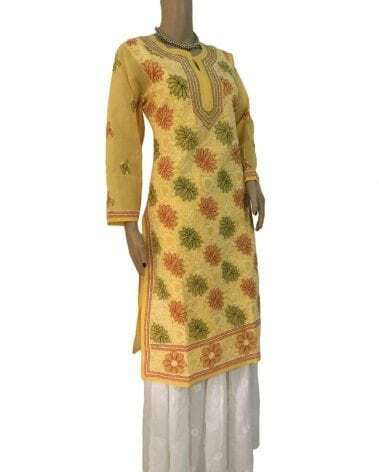 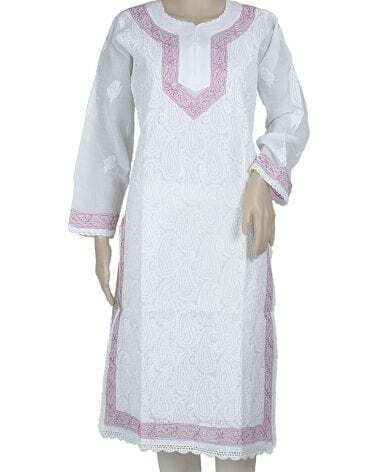 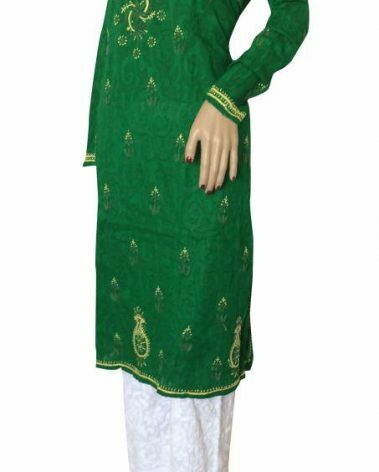 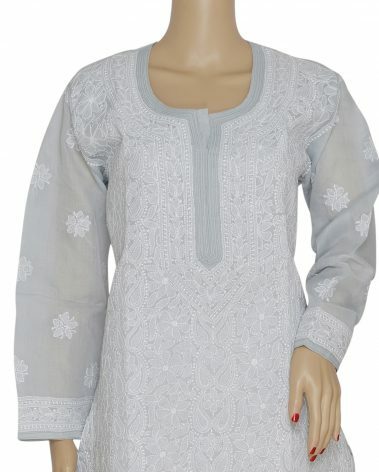 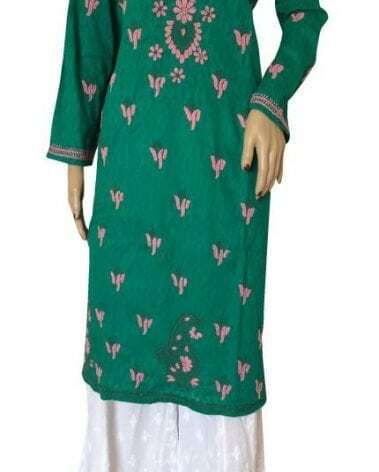 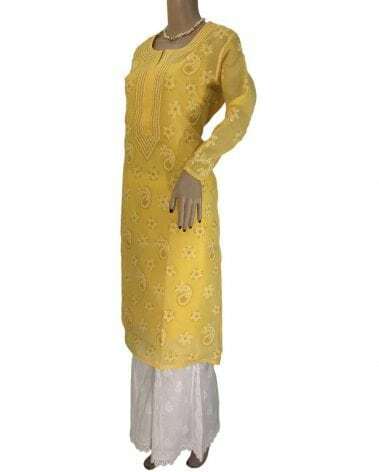 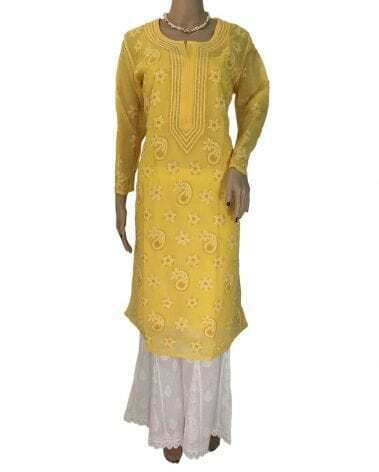 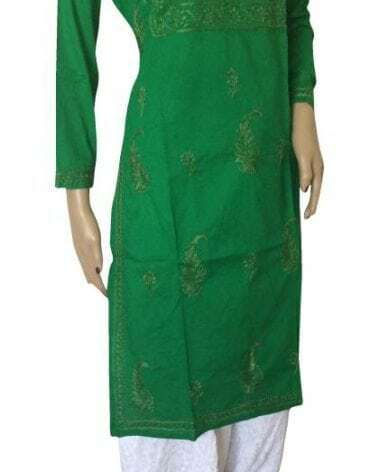 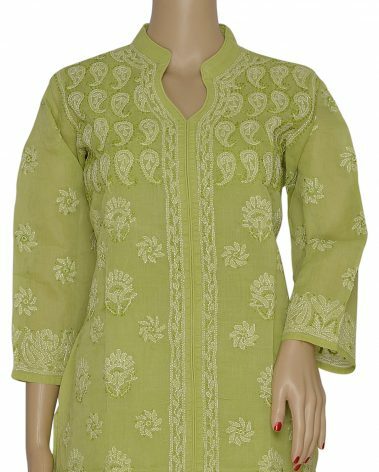 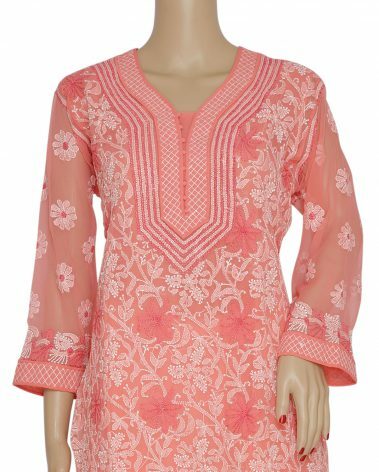 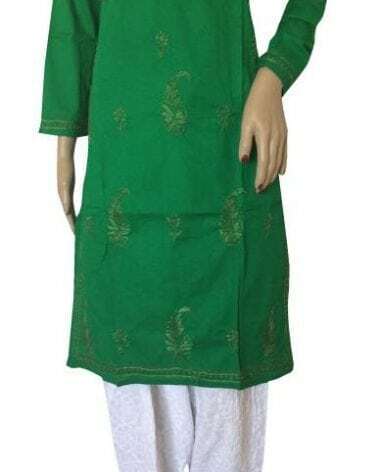 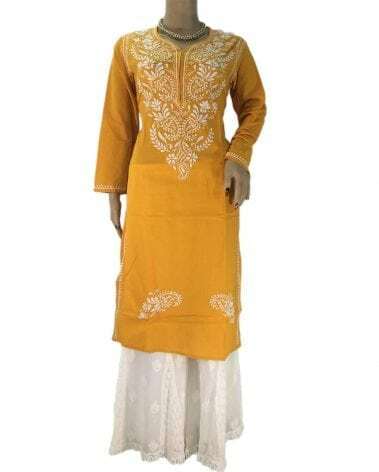 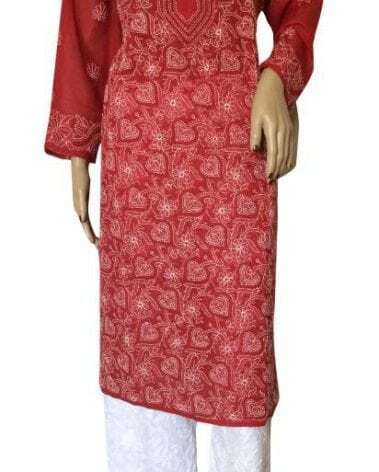 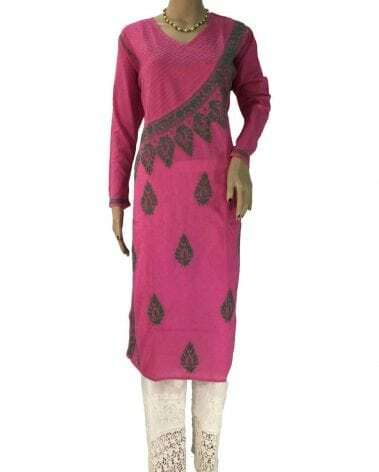 A short lucknowi kurta is referred to as the kurti. 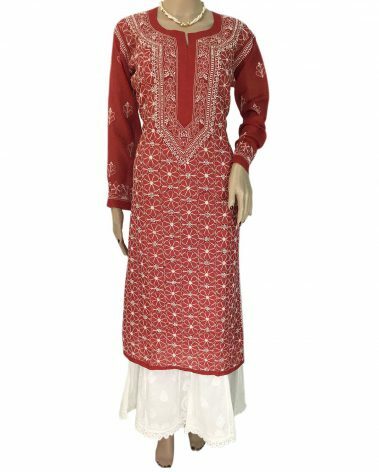 However, traditionally, the kurti refers to waistcoats, jackets and blouses which sit above the waist without side slits, and are believed to have descended from the tunic of the Shunga period (2nd century B.C.). 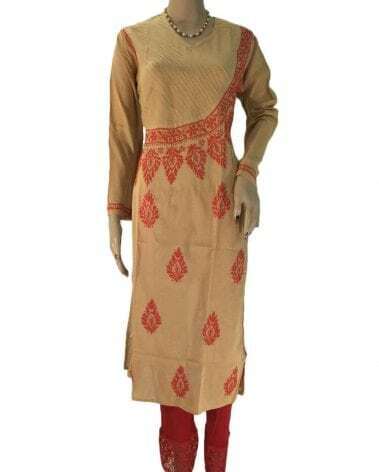 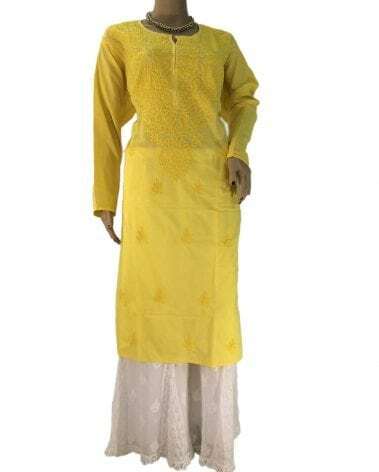 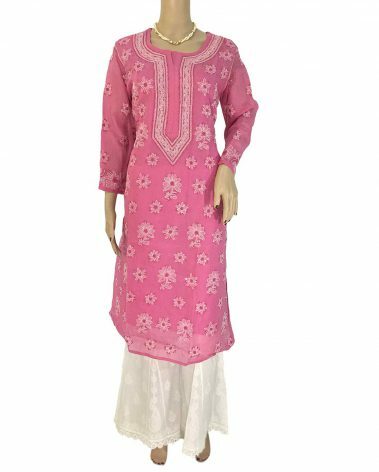 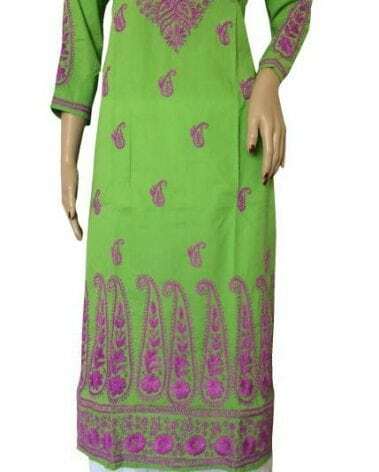 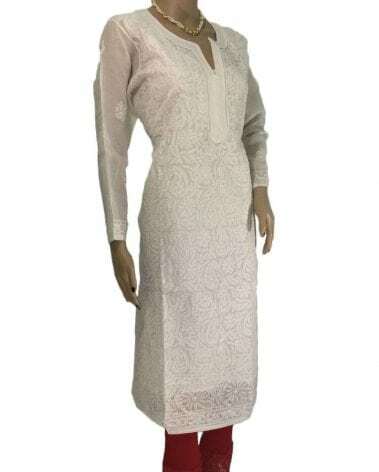 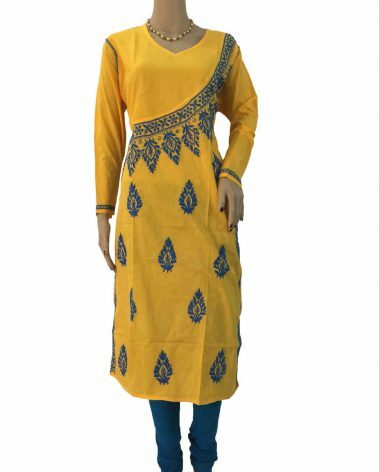 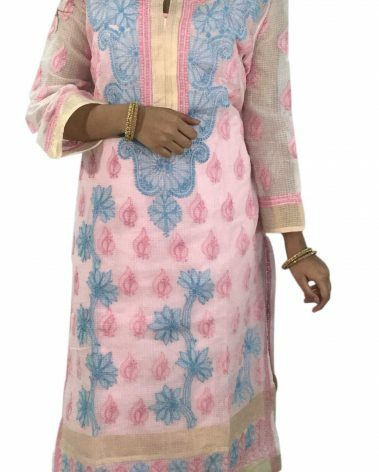 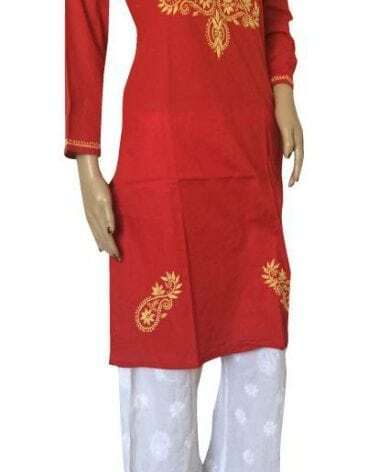 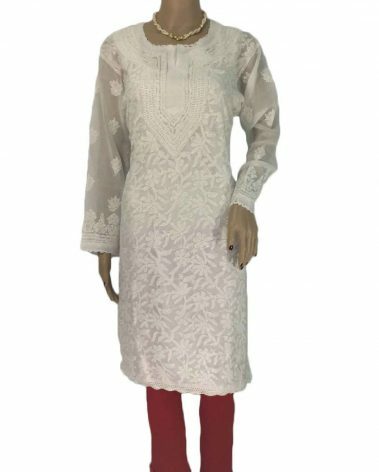 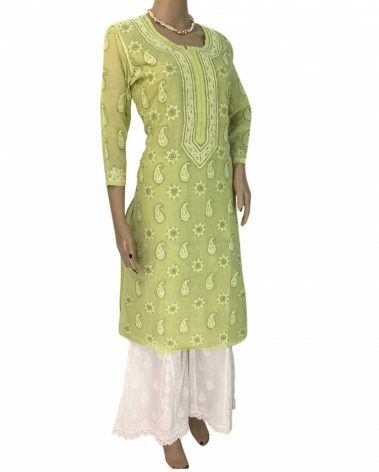 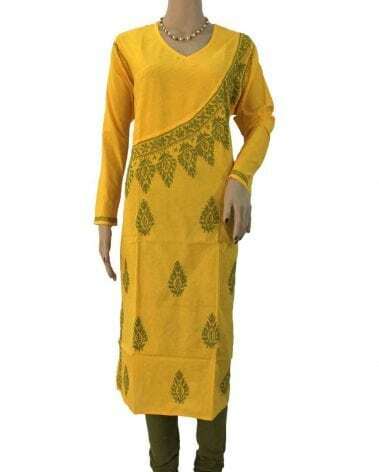 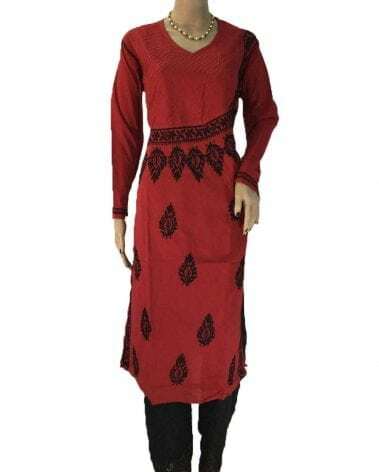 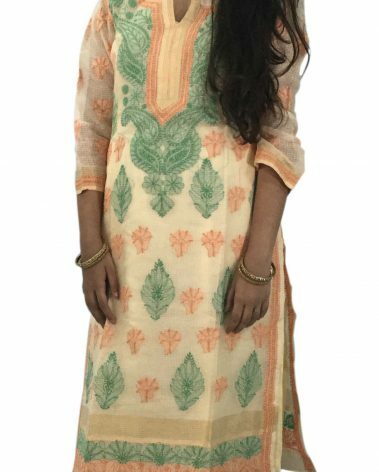 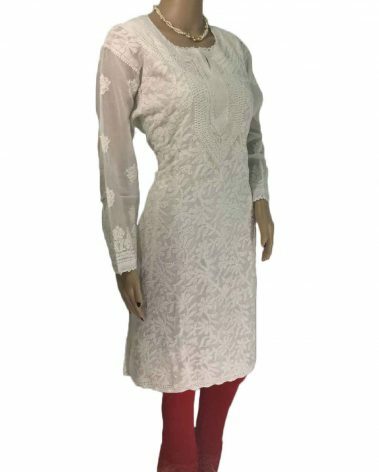 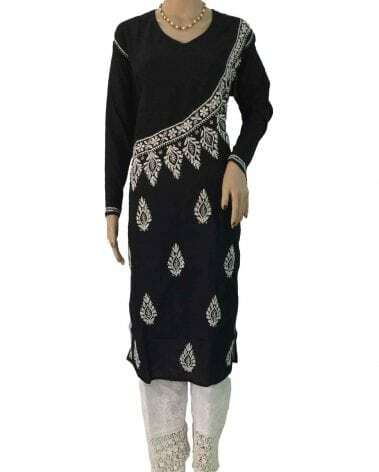 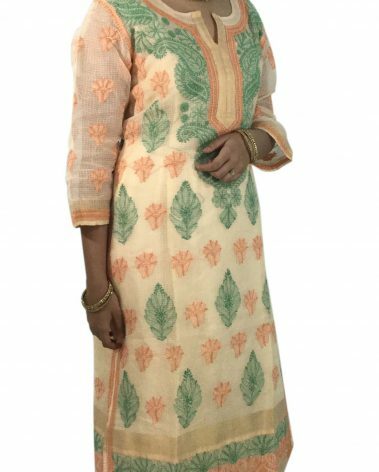 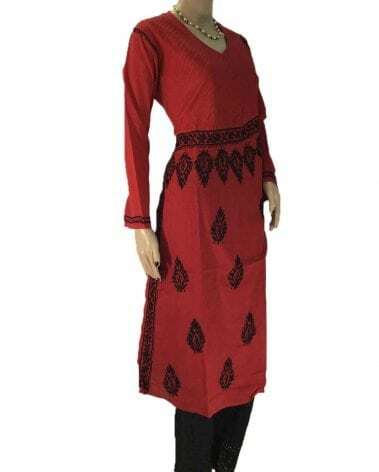 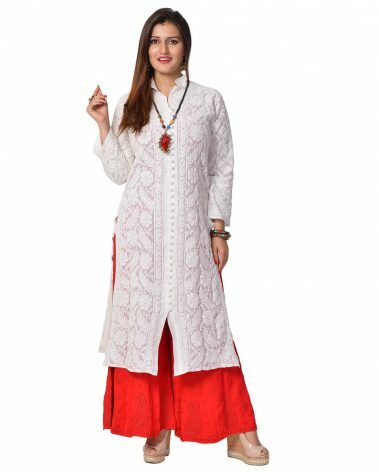 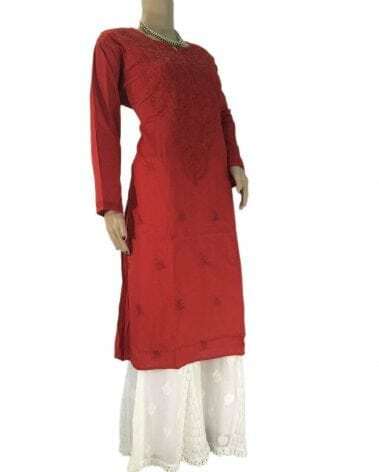 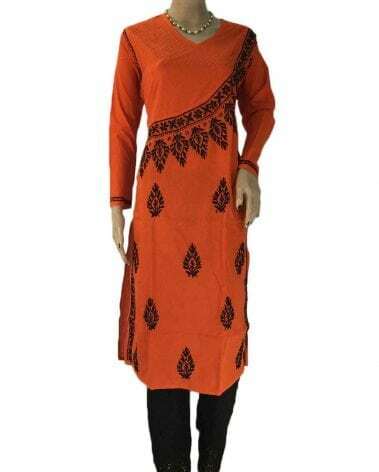 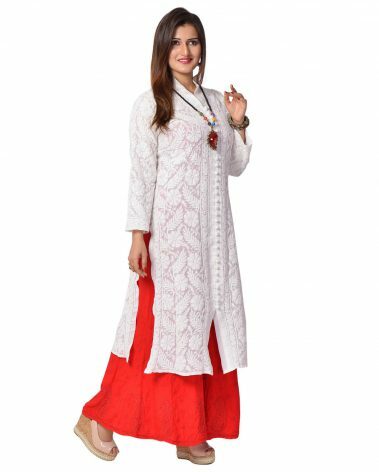 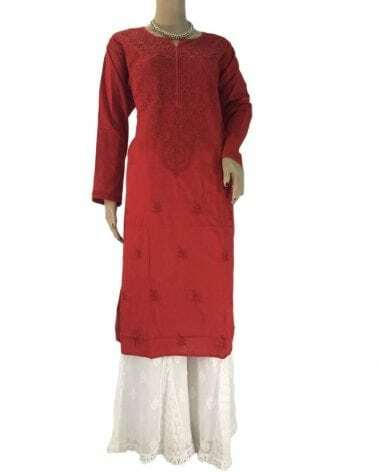 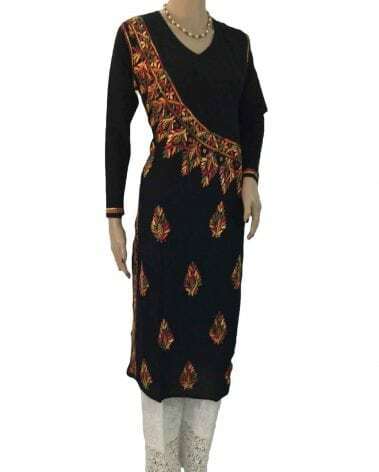 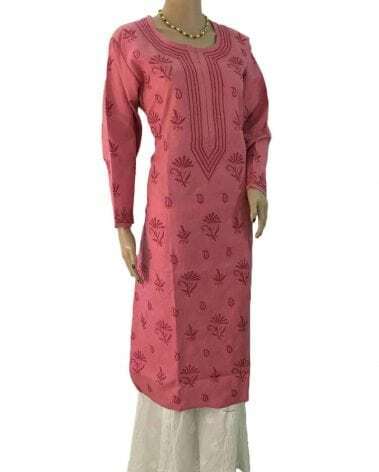 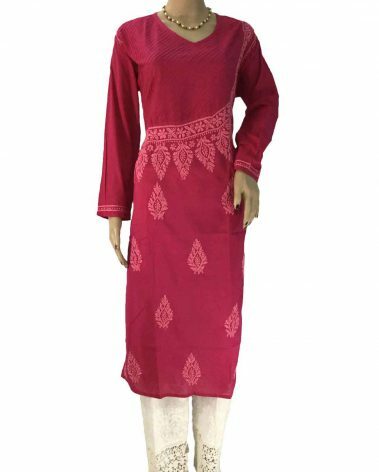 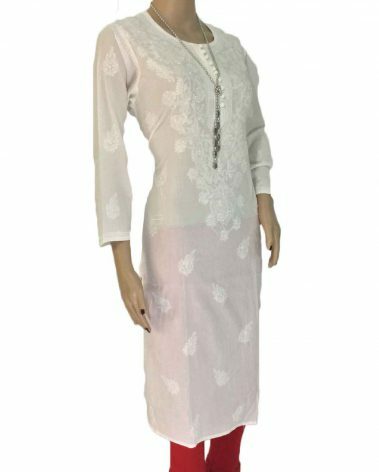 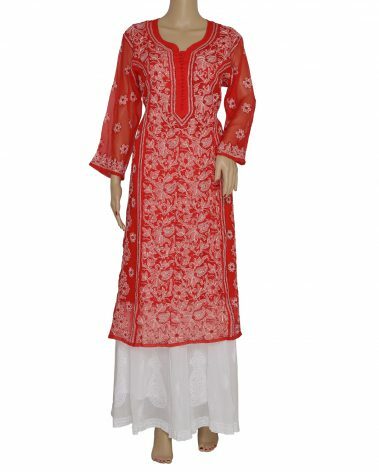 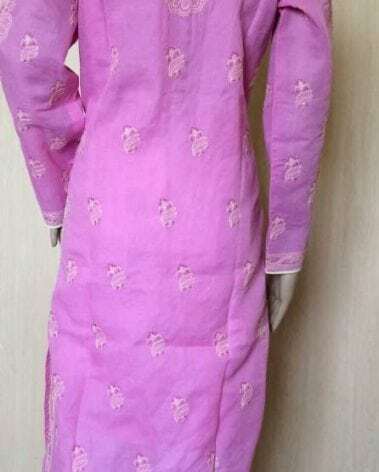 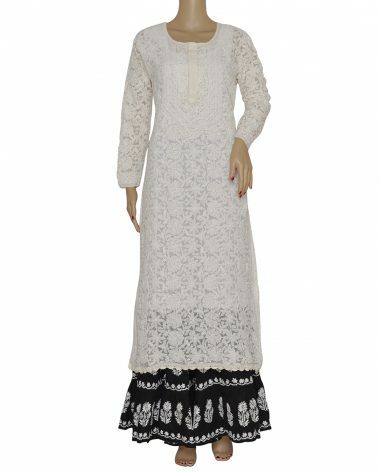 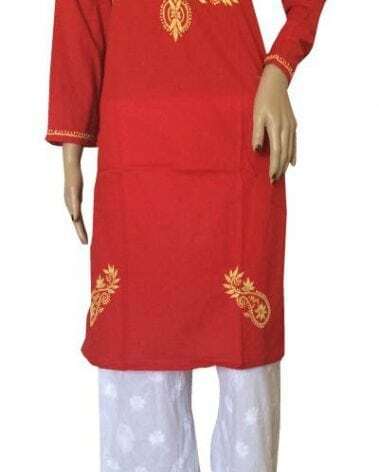 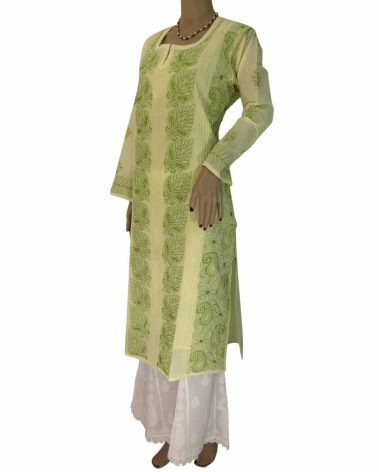 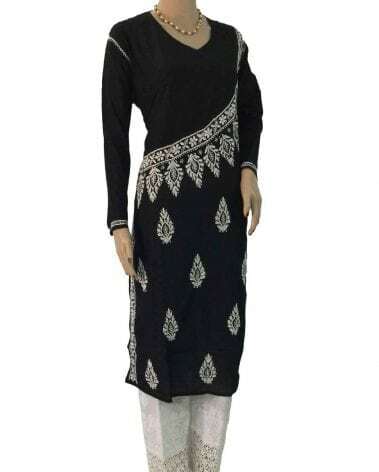 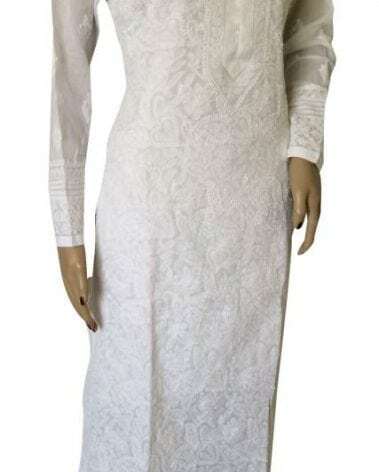 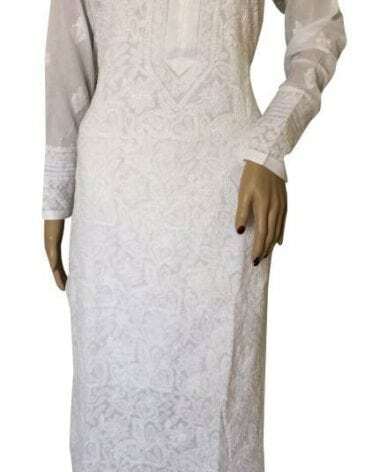 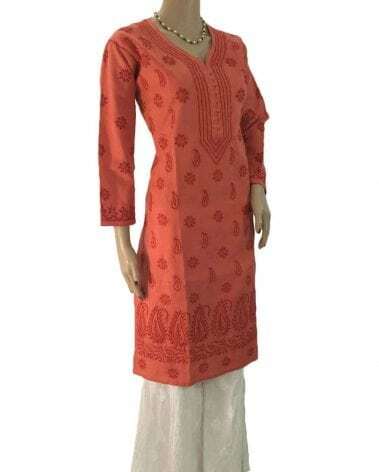 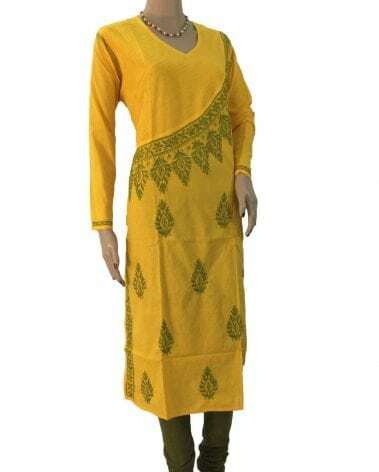 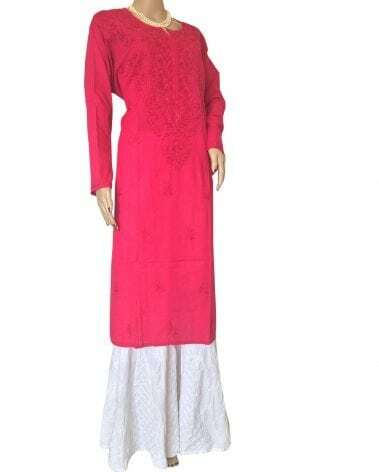 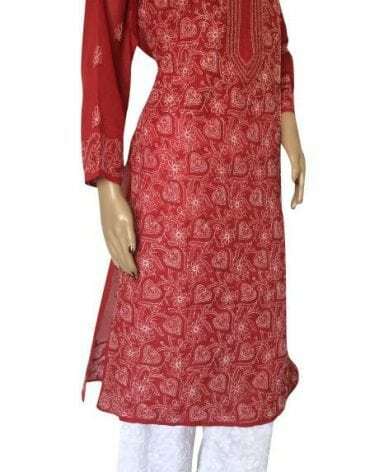 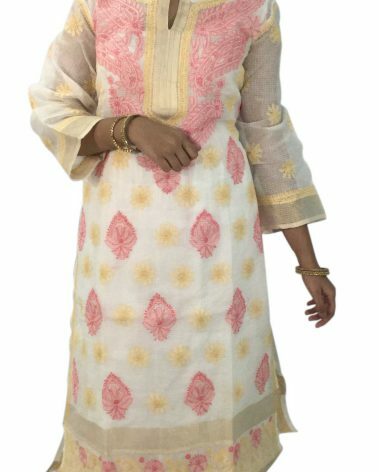 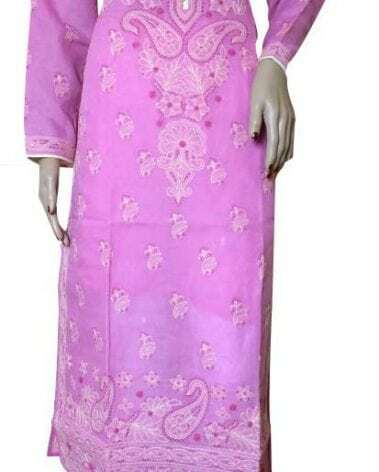 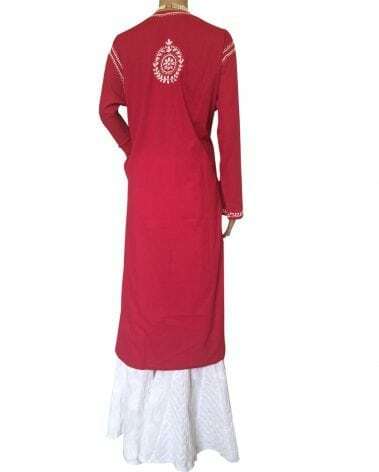 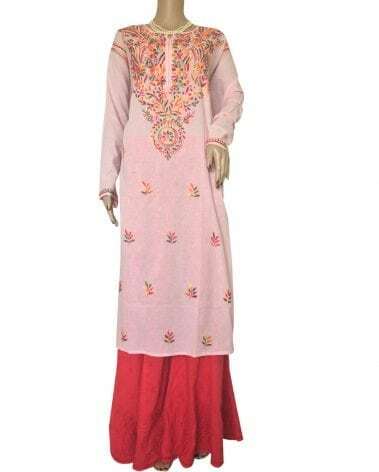 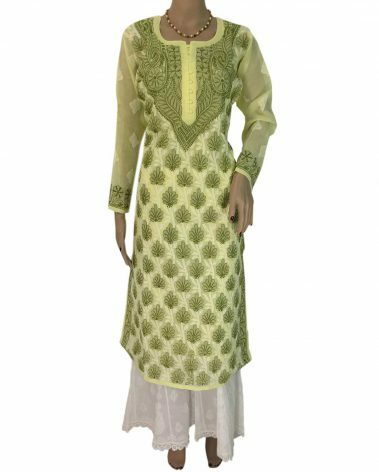 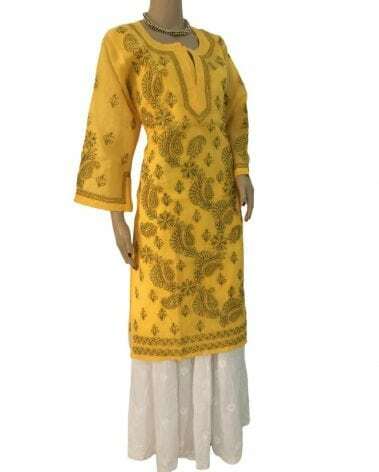 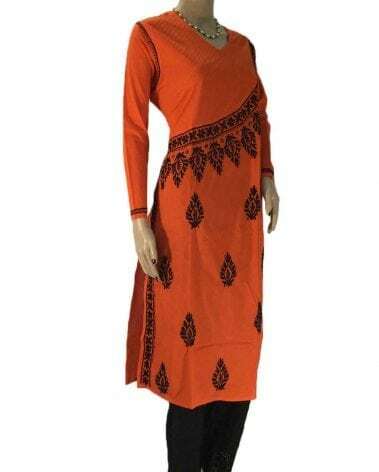 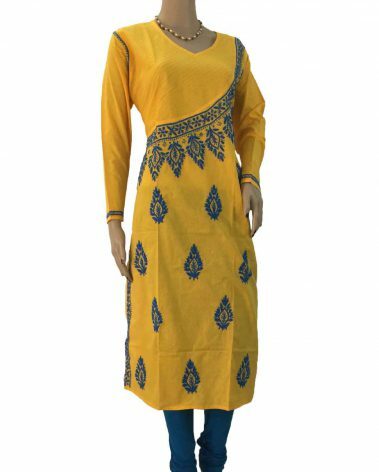 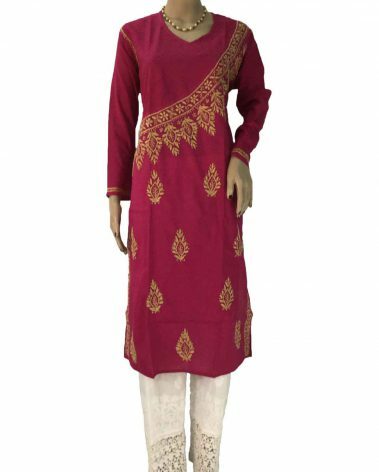 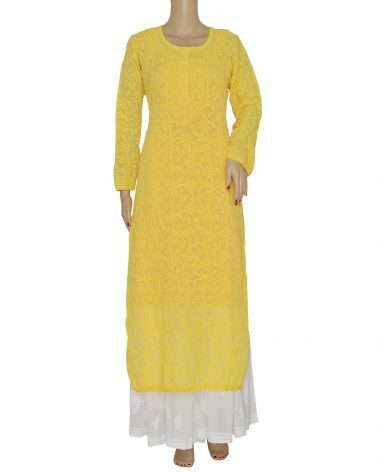 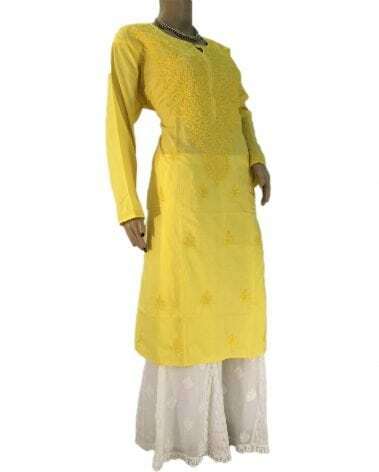 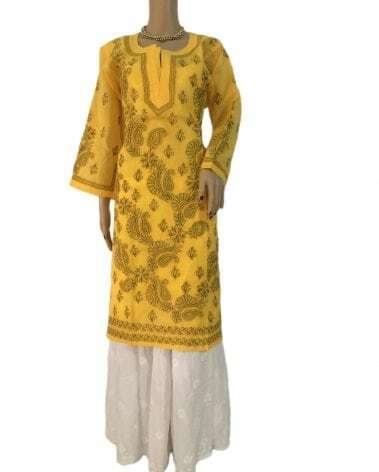 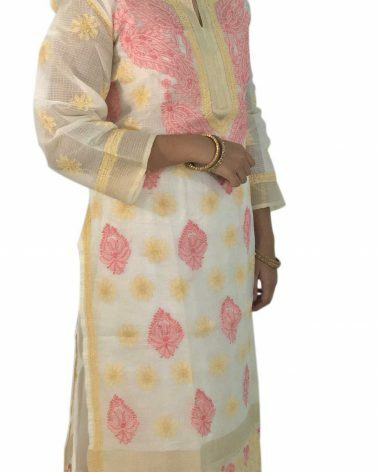 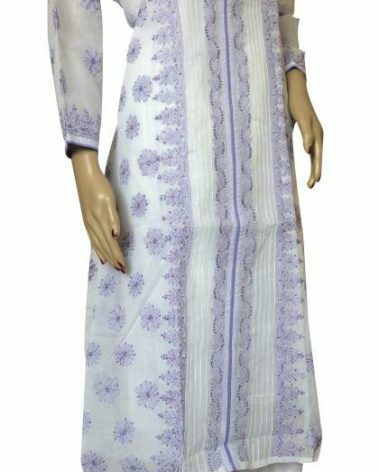 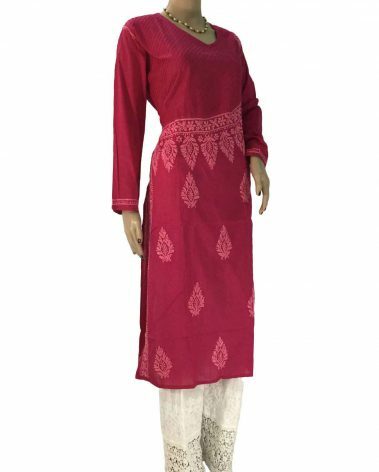 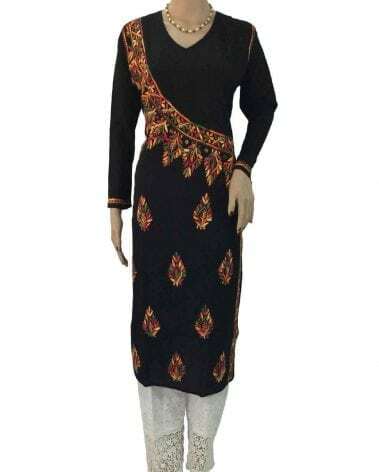 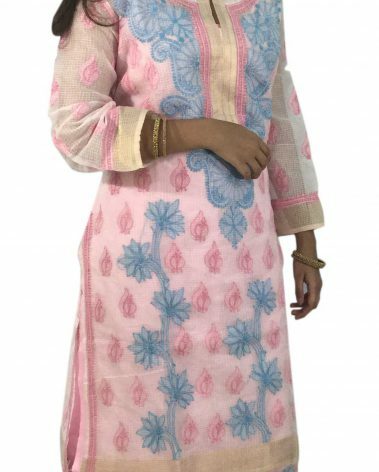 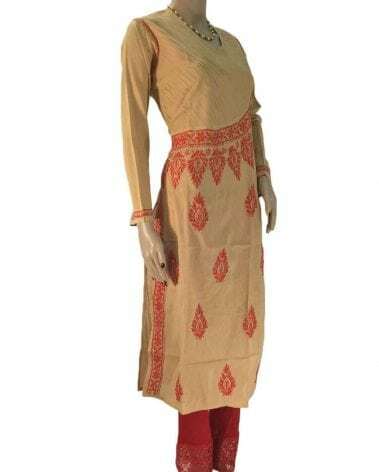 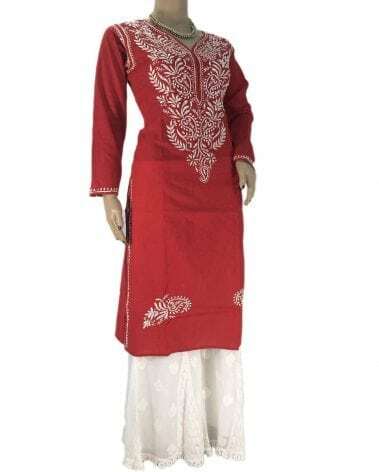 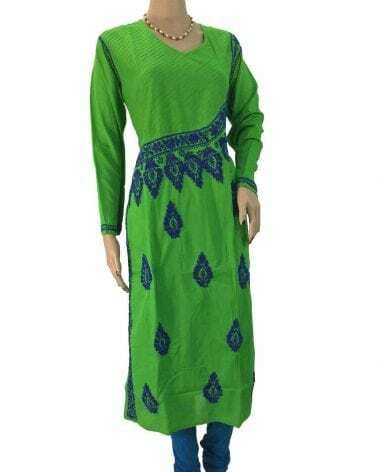 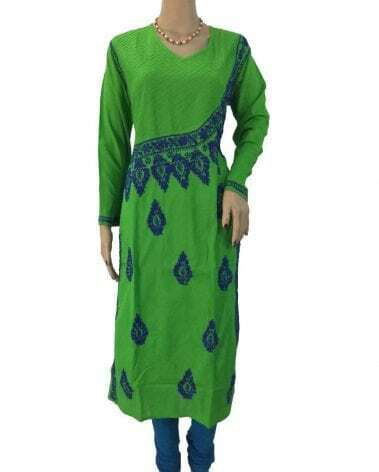 Long Lucknowi Kurtis are typically much shorter than the traditional garments and made with lighter materials, like those used in salwar kameez. 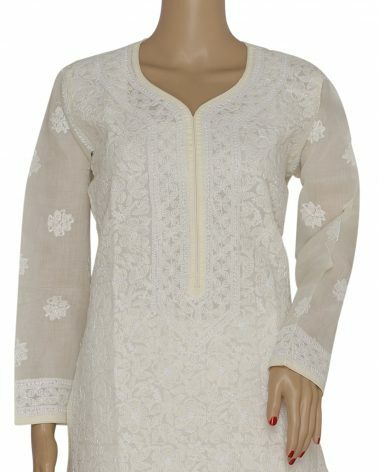 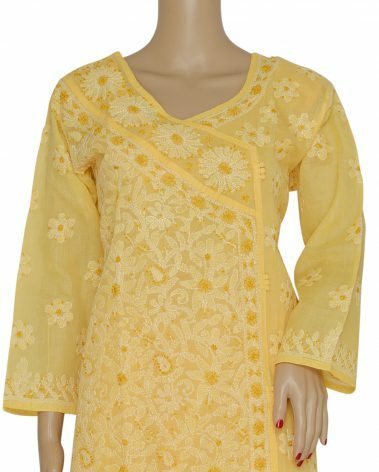 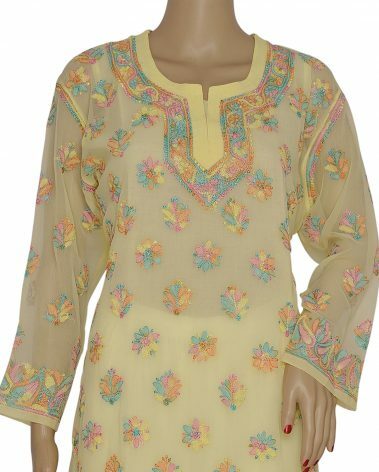 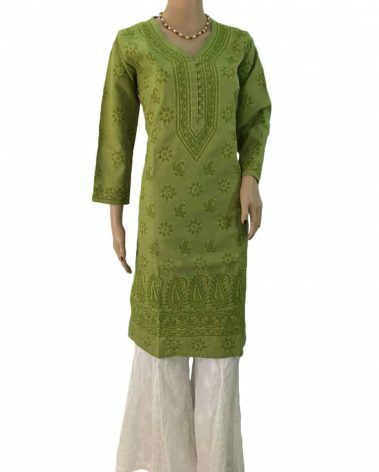 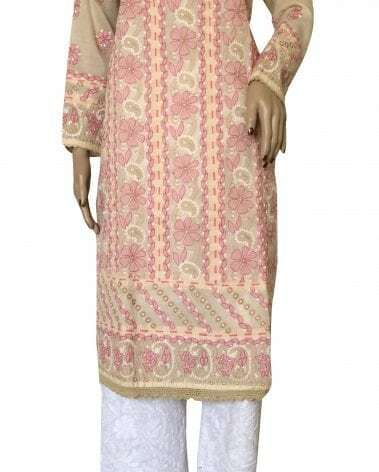 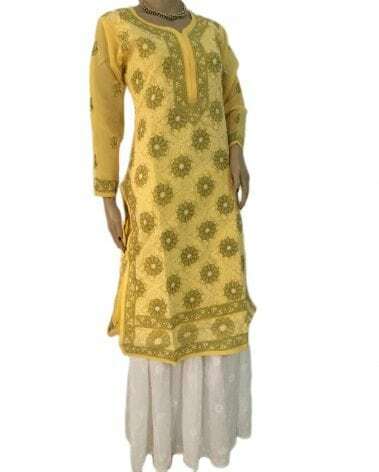 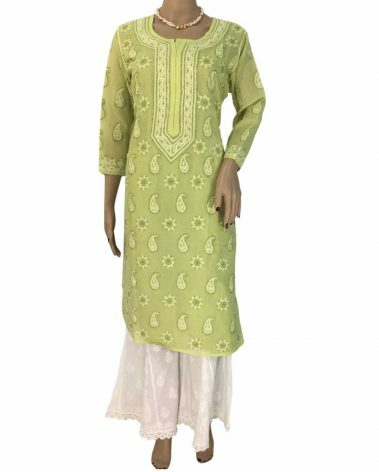 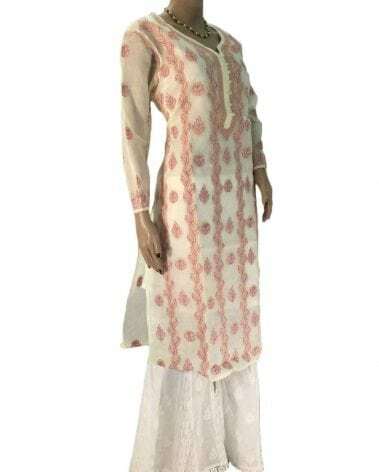 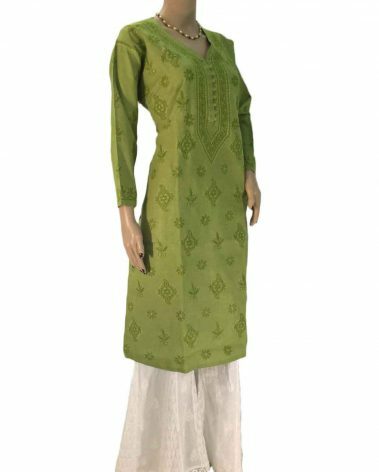 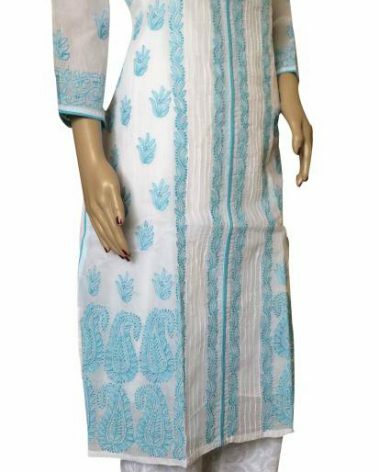 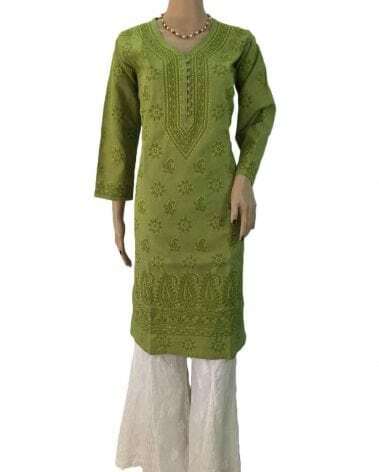 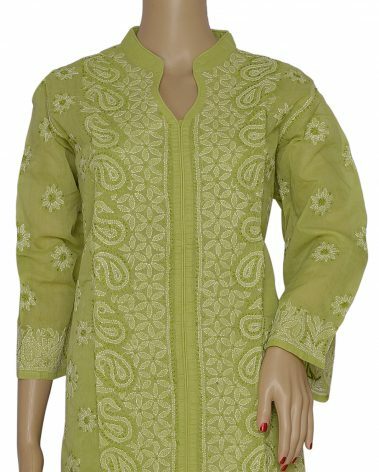 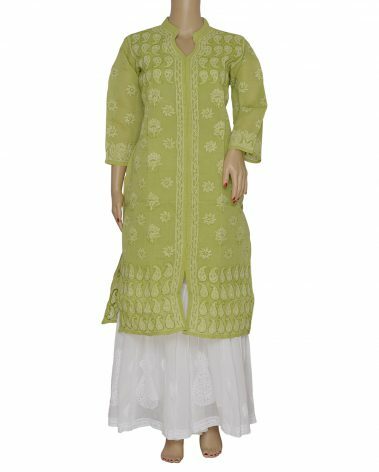 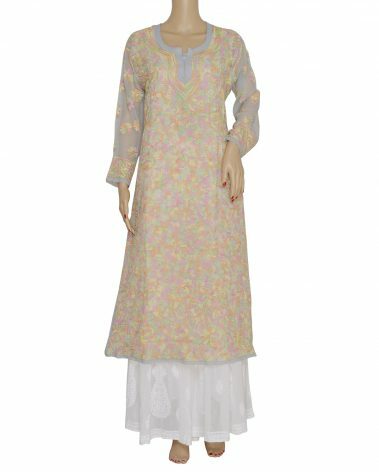 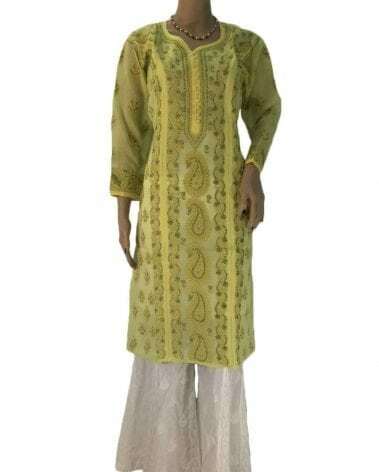 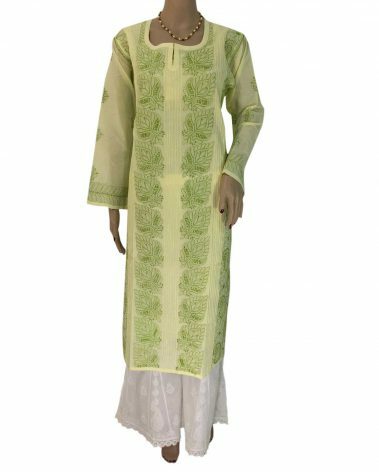 Kurtas worn in the summer months are usually made of thin silk or cotton fabrics; winter season kurtas are made of thicker fabric such as wool or “Khadi silk”, a thick, coarse, handspun and handwoven silk that may be mixed with other fibers. 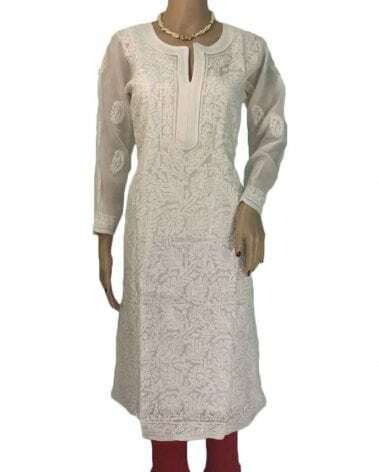 A very common fabric for the kurta pajama is linen, or a linen-cotton mix ideal for both summers and winters. 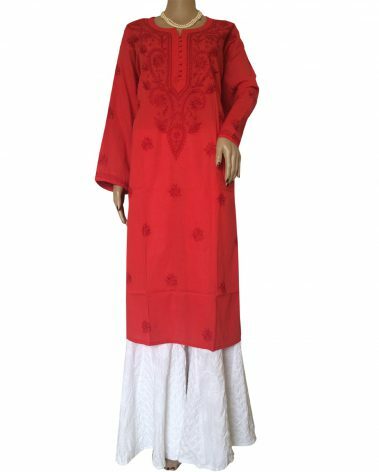 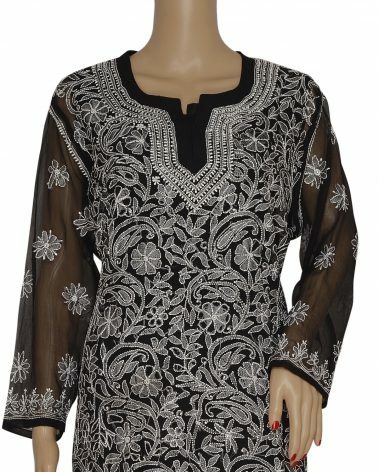 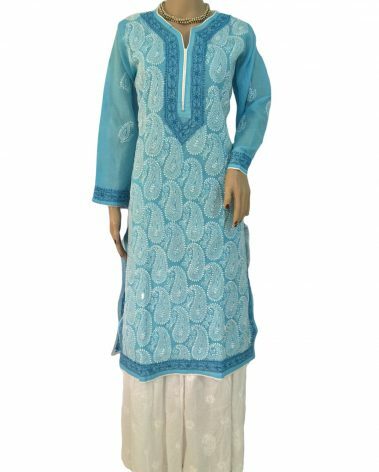 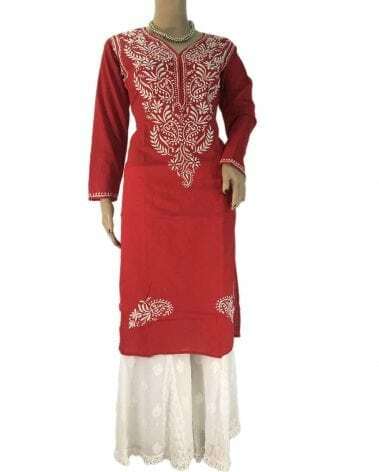 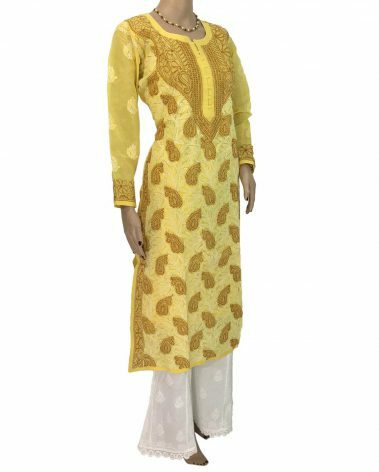 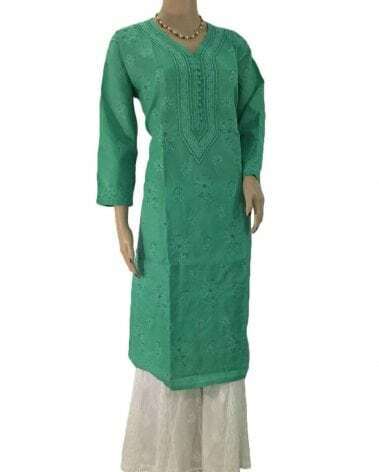 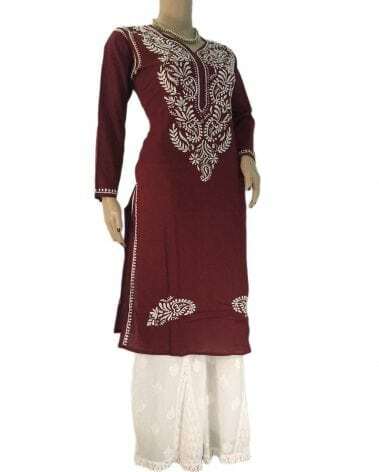 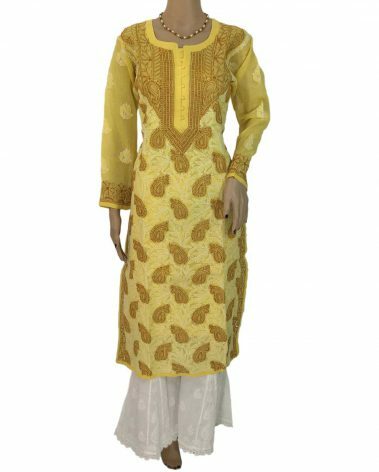 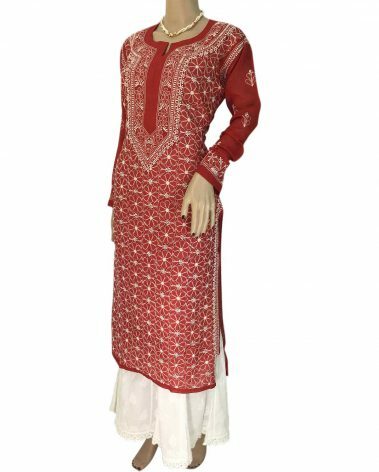 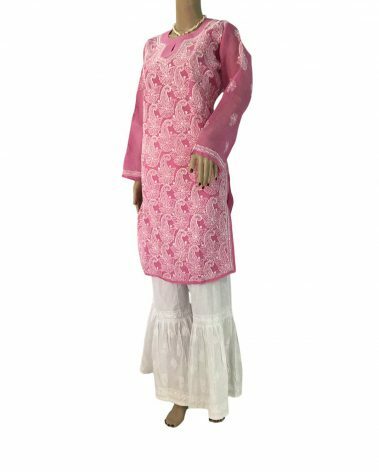 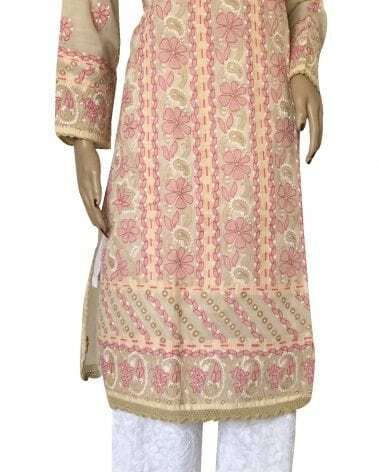 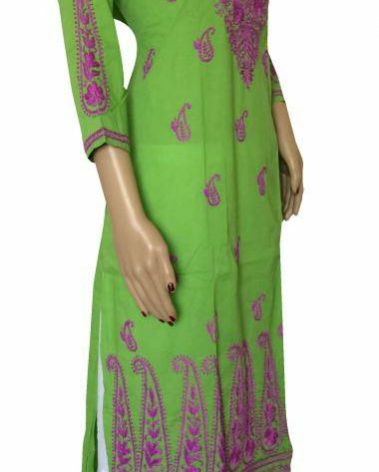 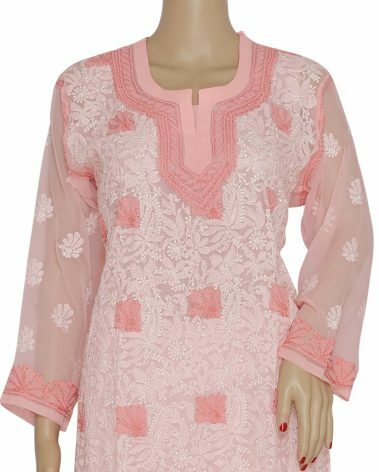 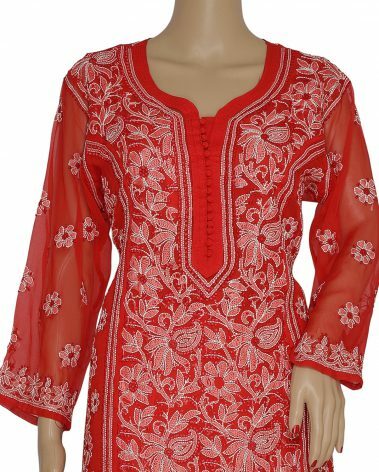 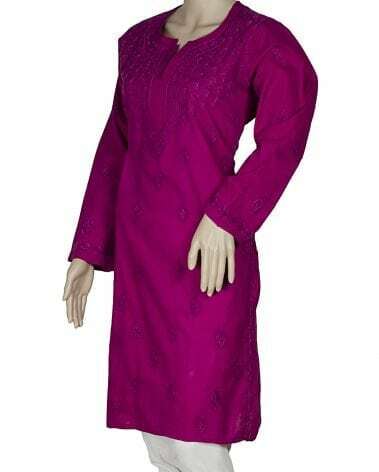 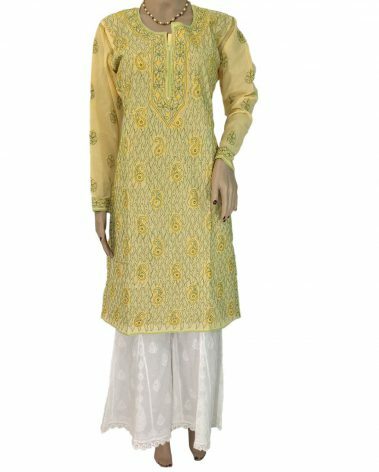 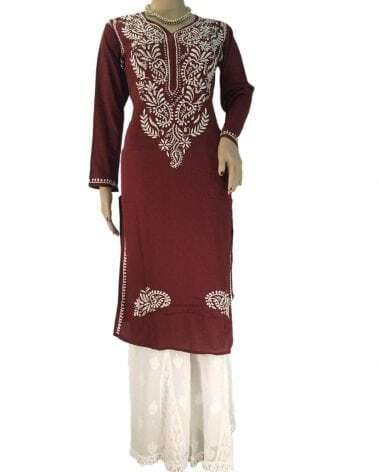 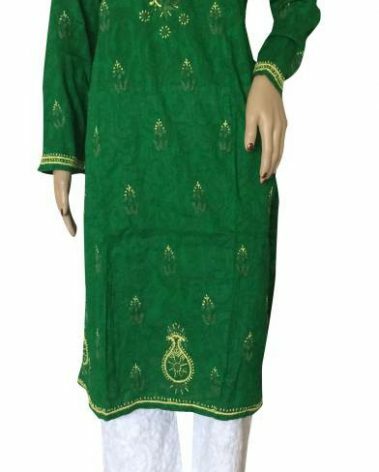 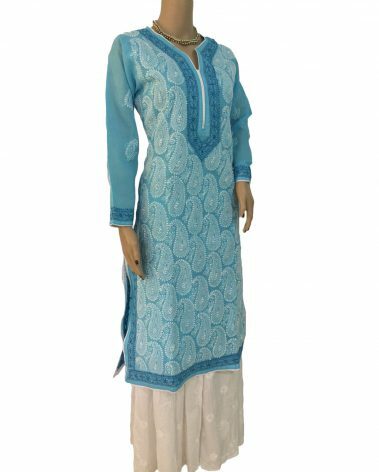 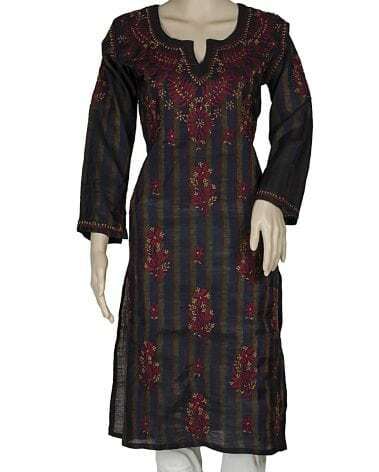 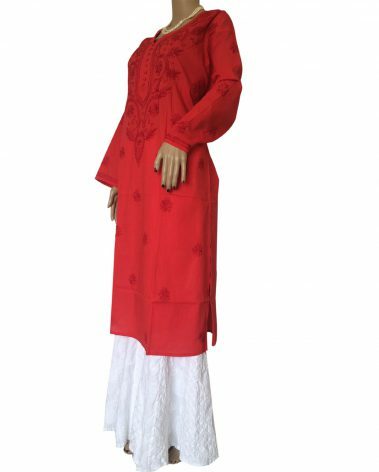 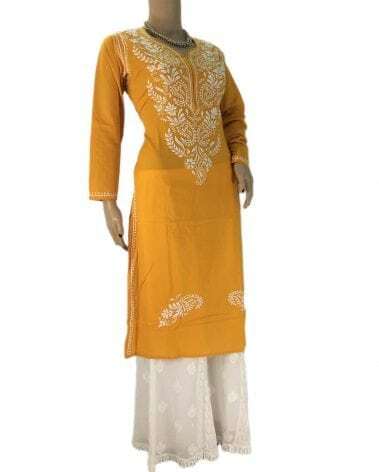 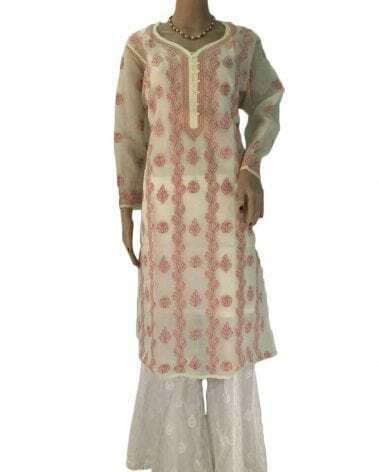 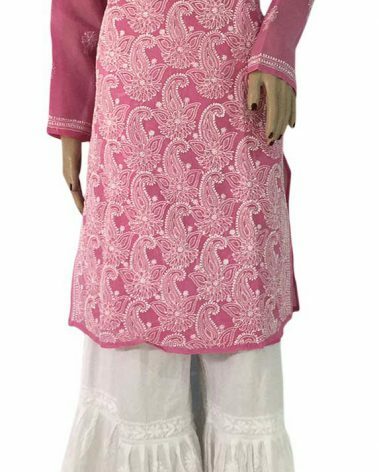 Kurtas are typically fastened with tasselled ties, cloth balls and loops, or buttons. 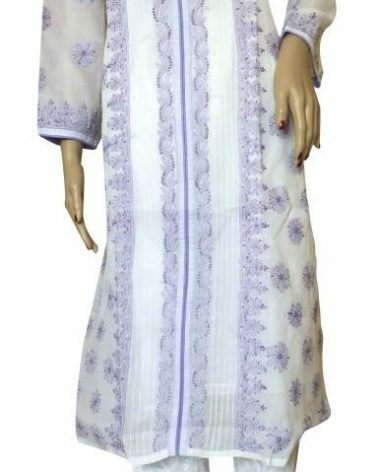 Buttons are often wood or plastic. 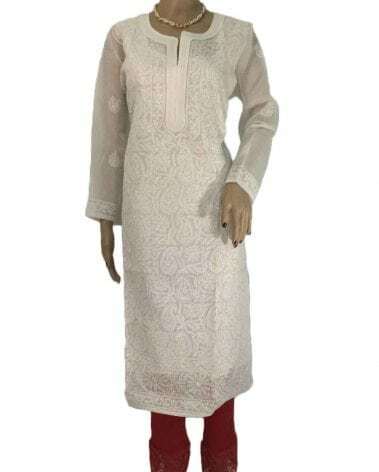 Kurtas worn on formal occasions might feature decorative metal buttons, which are not sewn to the fabric, but, like cufflinks, are fastened into the cloth when needed. 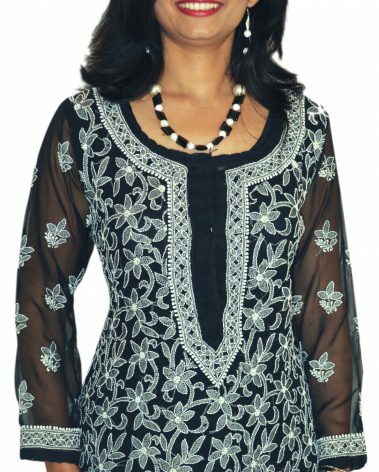 Such buttons can be decorated with jewels, enameling, and other traditional jewelers’ techniques.